First impression count. 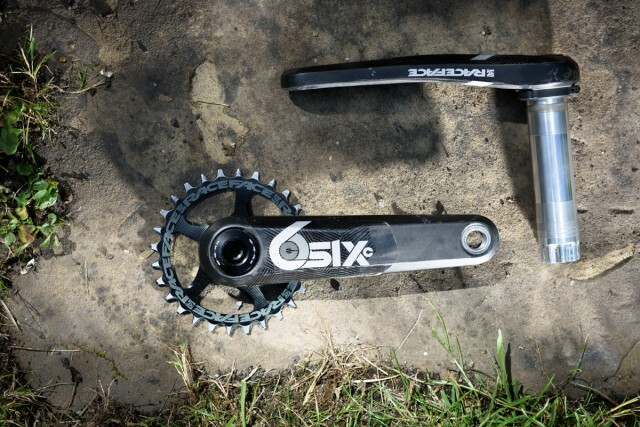 First impressions of the SixC cranks are ‘wow, they look good’, ‘wow, they are flipping light’ and ‘wow, they cost a lot’. Of course those three factors are interconnected and mostly come down to one particular reason. Carbon. 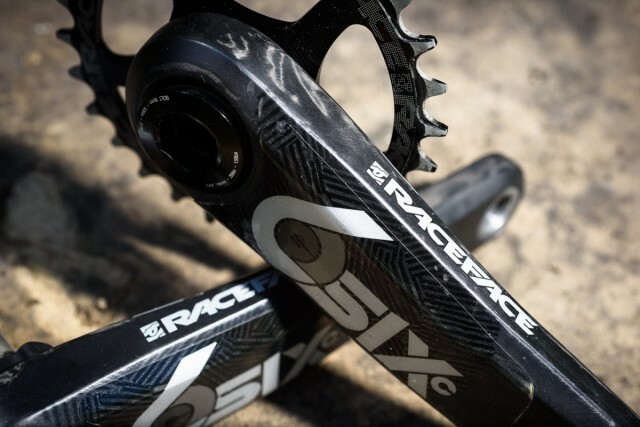 Carbon cranks are nothing new but the SixC’s from Race Face offer a tempting proposition in that they are rated for DH (ab)use but come in at an XC race weight. 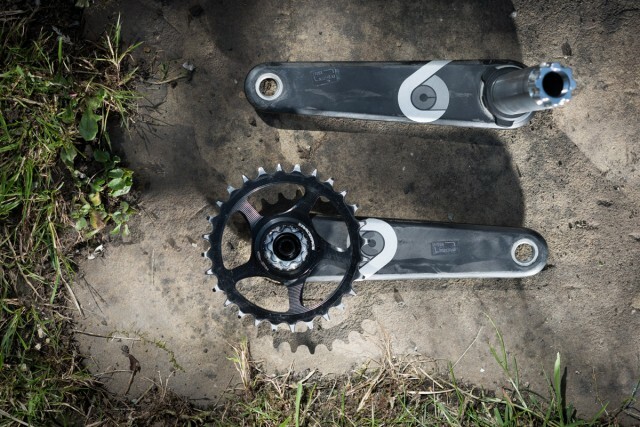 This set of 170mm crank arms with a 73mm spindle and a 28t Race Face Direct Mount chainring weigh in at 524g. 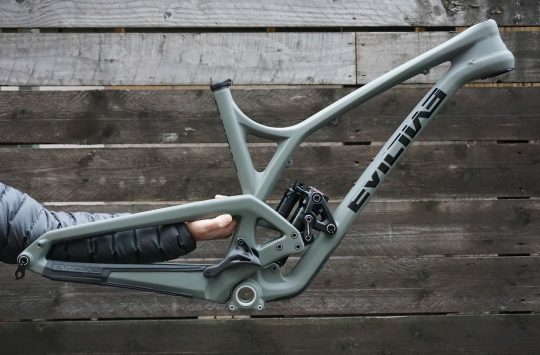 Of course this combo of strength and weight is more likely to appeal to the middle ground, aka Enduro/Trail than most DH or XC riders. 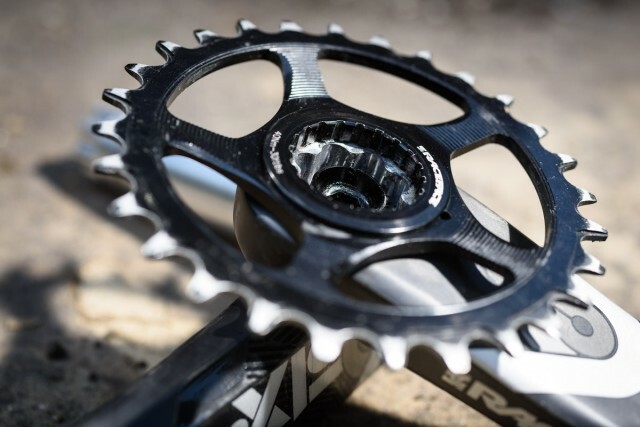 The Canadian designed and made carbon crank arms are hollow with no internal metal spine or foam core like you might find inside other brand’s carbon cranks. For 2015 Race Face have altered the design and layup of the carbon to increase strength. 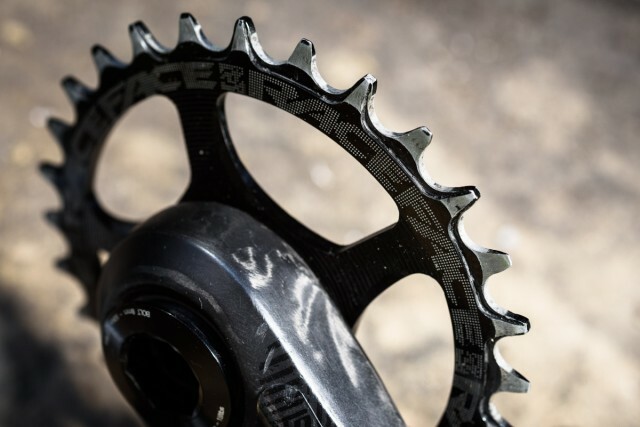 The aluminium inserts have resisted multiple pedal swaps and the included rubber boots that slide onto the end of the cranks have saved scuffing the carbon. 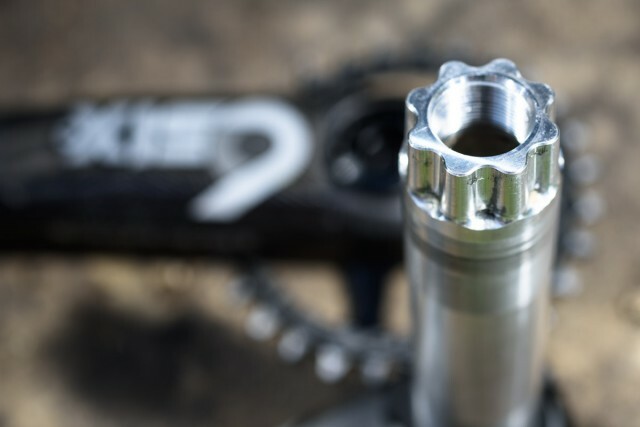 The crank arms bolt to a 30mm splined CNC machined aluminum spindle and bottom brackets are available for all modern frame configurations, namely BB30, BB92, and BSA30. While the looks, weight and cost might be the initial wow factors it’s the CINCH system that is the really impressive part. 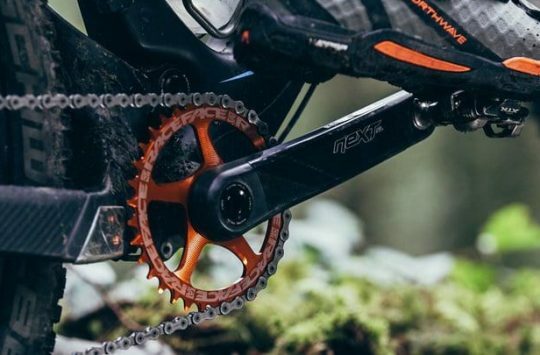 The CINCH system is modular and allows you to fit your choice of direct mount chanring, 2x or 3x chainring spider, 68/73mm, 83mm or even a fatbike spindle. This flexibility does help offset some of the cost as you know that when your current ‘frame for life’ gets replaced by the next ‘frame for life’ your cranks can swap straight over with minimal hassle. In all honesty anything over and above a Shimano SLX crank is an exercise in weight saving or tarting up your bike. Not that either of those are bad things, cranks are often an ideal area to drop some weight and who doesn’t like a good looking bike? The problem is when you pay more, get less, but then it all falls apart – sometimes literally. Long days covering miles along with days spent doing uplifts haven’t persuaded any part of the system to fail or even come loose, it’s all remained resolutely solid for the duration. One thing I was worried about having run carbon cranks previously, was rock strikes chipping the carbon and causing splintering and foot rub scuffing away the top layer of laminate. Rocks strikes happened but the carbon has worn its beating well with only a few small chips, certainly nothing that looks concerning and foot rub has been negated by the pre-applied helitape. Given the good looks and the price tag this comes as a big relief. Crank stiffness is a tough thing to quantify without the use of jigs, deflection measuring equipment and a lab coat. Equally it’s hard to detect past a certain point on the bike, flex will just occur in the weakest part of the system. 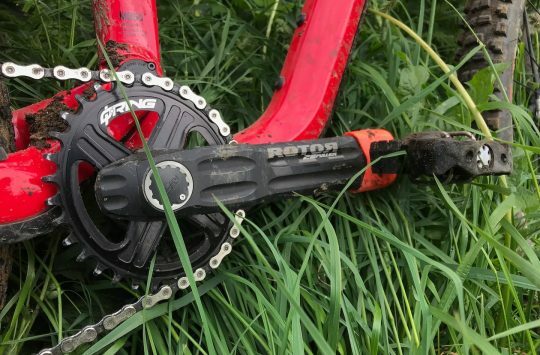 That said I couldn’t feel anything flexing in the BB area, and looking at the fat 30mm spindle and boxy crank arms I think any flex I did detect would have been from some other part of the bike. The Race Face Narrow/Wide direct mount chainring attached to the crank with a lockring, requiring an old-school splined BB tool from the bottom of the tool box. Over the test period it didn’t miss a beat, keeping a 100% record for chain retention and has worn well. The Race Face CINCH PF30 BB lasted just less before the bearings felt rough and started to seize. This seems to be par for the course for the majority of PF30 BBs so I’m not too disappointed. While the price makes it hard to fully recommend the SixC’s it’s good to know that if you do splash the cash you’re getting a product that really is built to last, both on your current bike and on your next bike, and the bike after that. The CINCH system keeps your options open when it comes to moving on to your next bike. 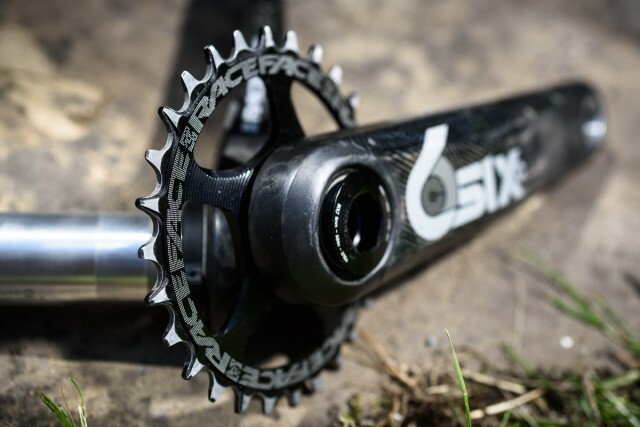 If you don’t want to pay the carbon premium Race Face also offer the CINCH system on their aluminium Turbine cranks, sure they weigh a bit more but you get all the modularity benefits at just less than half the price. Guiding in France – Is the war over?